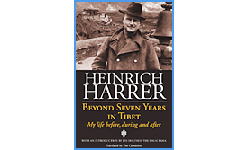 The first publication in the English language of the autobiography of one of the world’s most well known adventurers: Heinrich Harrer who died early in 2006. Best known in book circles for his bestsellers Seven Years in Tibet (1953) and The White Spider (1958), this book brings to life those and his many other adventures. "I have a confession. Many years ago, at a BMC Conference in Buxton, I fell asleep during a lecture given by Reinhold Messner. It wasn’t that I was somehow unimpressed, but his delivery just fell short of the mark. Much was lost in translation. Maybe you can understand the certain sense of heaviness when this book landed in my lap. This time, sleep eluded me for a few days, and I eventually put the book down – all 314 pages of it – stunned by Messner’s account of events, and very impressed by the translation. This really is a gripping piece of writing, and Tim Carruthers lively translation style draws the reader in, from the early (1930’s) expeditions, through to the final tragic episode, played out descending the immense Diamir face of Nanga Parbat. 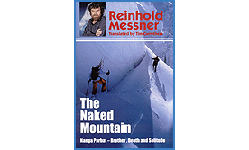 The translation reads like a good thriller, drawing the reader back through historical epics; treading the footsteps of climbers right on the edge of things, and so on to Messner’s experience of absolute solitude towards the end. If, like myself, you thought an expedition account of an 8000’er might not be relevant to your own life, try this one. It’s special." 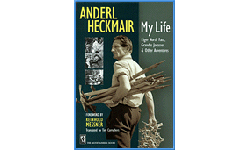 " 'My Life' is a fresh, modern translation of the newly expanded and updated classic memoir, 'My Life as a Mountaineer'. In addition to significant additions and revisions to content and style, this edition also includes two new chapters that bring the life story of Heckmair, now in his nineties but still looking for adventure, up to date". The Big Walls are the royal discipline in mountaineering terms. They embody all the things that make climbing what it is - size, scale, difficulty, exposure, remoteness, and the reduction of equipment to a minimum. 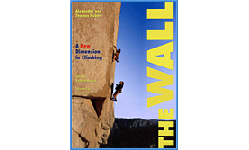 Challenging walls can be found the world over: in the Himalayas, the Karakorum and the Alps for example. 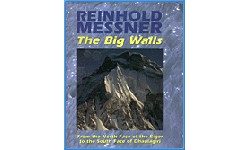 Here, world famous mountaineer Reinhold Messner presents detailed information on fifty walls, showing a new generation of climbers where the big challenges and remaining climbing problems may be encountered. Lavishly illustrated throughout with stunning photographs, this book is inspirational, informative and is essential reading for climbers, mountaineers and all those interested in adventure travel.
" What is it that gives this book such explosive power? It is obvious: pictures we have not yet seen, texts which take our breath away; insights into a world which is for all but a few of us inaccessible." 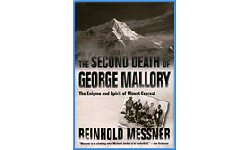 " I thought it was going to be 'just another Everest book' but I was mightily surprised. It is difficult this, 'not giving the game away' yet praising the book on its merits. I think you have done a first rate job on the translation." 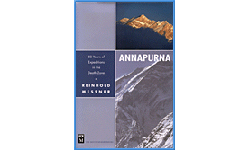 The only complete mountaineering history of Annapurna, the most dangerous eight-thousander, this is a classic collection of climbing adventures. Herzog's original work has been translated into 25 languages and published in more than 100 different editions.
" 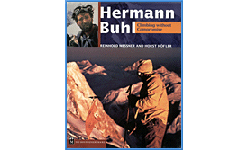 At last, a definitive work on Hermann Buhl, and Reinhold Messner translated well to boot! Tim Carruthers has produced a superb translation of Reinhold Messner and Horst Hofler's much needed biography of one of my all time mountaineering heroes. " " Tim Carruthers has produced a wonderfully faithful translation (at last a climber translating climbing books!) that cuts through the hyperbolic and overblown turn of the century romanticism of Kurt Maix's original work." 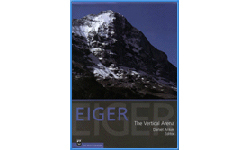 "The Eiger is life and death itself. Take it as a metaphor, if you like, but it's also real. 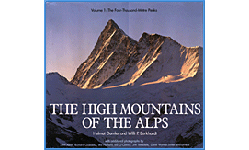 I know this because my father dedicated his life to, and died on, the Eiger's North Face. The Vertical Arena is the most intensely eclectic and endlessly fascinating examination I've seen of a mountain that is vastly more than the sum of its rock and ice fields." John Harlin III, Northwest Editor, BACKPACKER magazine.
" English climbers need no longer struggle with the peculiarities of a German translating his own language to produce non-sensical 'climbing' English. 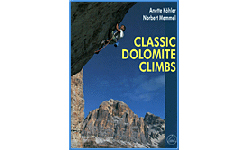 Although this may seem like a contradiction in terms, the context of the written word in this excellent climbing guide to the 'Dollies' is spot on." 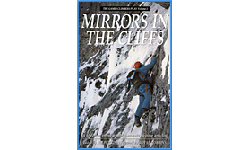 Anthology of mountaineering essays, commentaries, interviews, cartoons, poems and photographs that reflect the style and milieu of climbers' lives.
" I am sure that this book's great success on both sides of the Atlantic is in no small part due to your fine translation."